Craig Cesarin’s background consists of education/technical training and over 40 years of professional fire service experience. He has worked in a major municipal fire department for 37 years and has worked in progressively more responsible positions during the course of his career retiring in 2004 at the rank of deputy fire marshal. One of his responsibilities while working in the Suppression Division was to get qualified as a state certified hazardous materials specialist/technician. During the course of his career, he responded to numerous emergencies and supervised and investigated many fires as an acting fire captain. In 1997, Craig was promoted to deputy fire marshal (DFM) and conducted approximately 250 fire investigations. As a DFM, his primary responsibility was to conduct origin and cause investigations, prepare detailed written reports, coordinate criminal complaints with law enforcement, and perform complex code enforcement inspections in Mountain View. Craig was a member of the Santa Clara County Fire Investigation Task Force Team and assisted in major mutual aid fire investigations such as the Orthodox Church Fire in Los Altos, the Minton Lumber Yard Fire and Postal Express Fire in Mountain View, and the Santana Row Fire in San Jose. Between 2004 and 2012, he was hired back on to train, supervise. and oversee the development of the full-time deputy fire marshals in the Mountain View. Craig is also an origin and cause investigator at Fire Cause Analysis and has investigated numerous large loss fires in a variety of commercial and industrial buildings in California and Nevada. Craig Cesarin is a certified level II fire investigator and fire inspector through the California State Fire Marshal (CSFM). 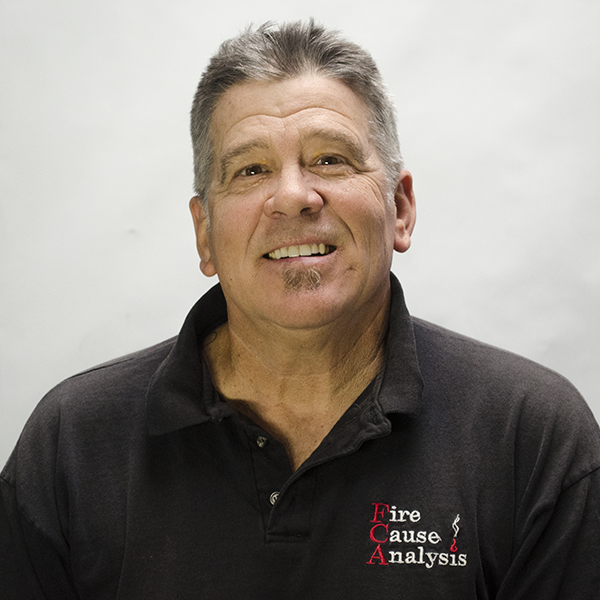 He has been a member of the California Conference of Arson Investigators (CCAI) for over 20 years and a member of the International Association of Arson Investigators (IAAI). He is also permitted to work in Washoe County, Reno as a fire investigator.